The network of the Association of Consultants in Innovation is distributed throughout the French territory and includes 70 consultancy companies representing 3000 employees. They work on innovation consulting with all the actors of the innovation chain (companies of all shapes and sizes, research and higher education, public authorities) contributing to the competitiveness of economic actors and the attractiveness of territories. Wilco (formerly Scientipôle) is an incubator from the Ile-de-France region. It aims at assisting young innovative companies in upscaling VSE (Very small enterprises) in innovative SME. Wilco makes non-dilutive funding (such as zero-interest loan up to 120 K€) available to start-ups, as well as essential skills and tools for their success. The incubator’s approach is based on solidarity, gathering large companies, entrepreneurial mentors and public actors. Its objective for the supported start-ups: a 1M€ turnover in 3 years. “Yes We Know” is a formalized partnership of public health experts, created upon an over 5-year cooperation between Yves Charpak, Marc Danzon and Chaix Couturier Conseil. The expertise of “Yes We Know” is focused on political stakes, health policies, the knowledge of past health crises, management-oriented stakeholders and implemented solutions. 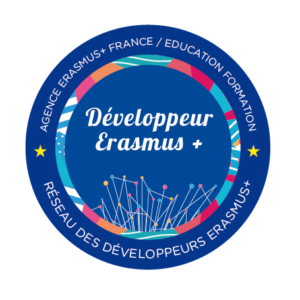 These skills have been developed at various levels: European and global (Marc Danzon and Yves Charpak), regional and national (Carine Chaix-Couturier and Yves Charpak). With over 130 000 industrial employees, Aerospace Valley is the first worldwide competitiveness cluster and largest European employer in the fields of aeronautics, space and embedded systems. Aerospace Valley is associated with the Nouvelle-Aquitaine and Occitania regions. It gathers more than 800 members (universities, research centers, manufacturing groups, SMEs, engineering schools…) and 8500 researchers. It ambitions to create another 40,000 new jobs by 2025. The competitiveness cluster is involved in a dozen of European projects. EKR Santé proposes consulting services in Quality Management and Regulatory Compliance (European, American and Canadian frameworks) to members of the pharmaceutical, medical device and natural health products industries. In particular, it supports SMEs towards the regulatory accreditation of sites and products. As an independent consultancy active in Canada and France, the EKR Santé expertise is forged on more than 15 years of experience for dozens of companies in Europe and North America. Medicen Paris Region global is a competitiveness cluster founded in 2005 which aims at positioning the Île-de France Region as a European industrial leader in diagnostic and therapeutic innovation and leading-edge health technologies, thus enabling it to become one of the global centres for translational medicine. With a network of over 200 members, the cluster is structured according to five strategic action areas: in vitro diagnostics, diagnostic and interventional imaging, regenerative medicine and biomaterials, ICT & translational medicine and health. IncubAlliance is the mutualized incubator of the Paris-Saclay cluster. It aims at upgrading start-up projects with high technology content and enhancing public research results through the creation of new companies. 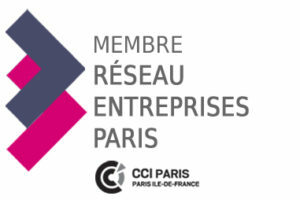 The incubator also aims at accelerating innovation by building synergies between start-ups, industries and research centers in the Paris-Saclay ecosystem. Since 2000, IncubAlliance has supported over 330 projects in various sectors and has spearheaded over 250 companies which hire today 1700 collaborators. France Innovation supports the successful innovations of startups, SMEs, mid-cap companies and large industrial groups in all scientific fields and all areas of application. This professional association gathers nearly 70 private research and technological development providers as well as diverse actors which support innovation. France Innovation’s actions are structured around 4 main axes: Skill research, Consulting & Information, Communication and Lobbying. The "Club Génération #Startuppeuse" aims at supporting start-ups with a strong social and/or environmental impact which projects are led by women or mixed-gender teams. In particular, it provides help from experts: lawyers, financial officers, accountants, investors, coaches, mentors, business developers, etc. This initiative is supported by ESSEC Business School.